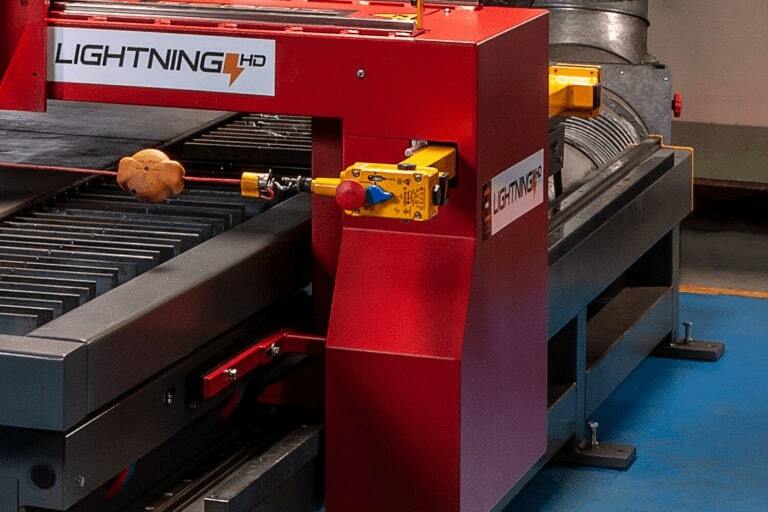 By combining laser cutting machine principles with the latest high definition plasma cutting technology, the Lightning HD has evolved over the years to become the reference standard for high precision plasma cutting. 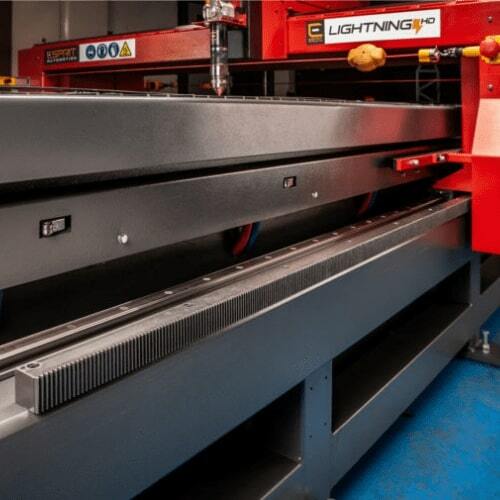 The Lightning HD fully exploits the latest XPR plasma cutting technology to produce clean, square, dross-free cuts on a wide range of ferrous and non-ferrous metals. 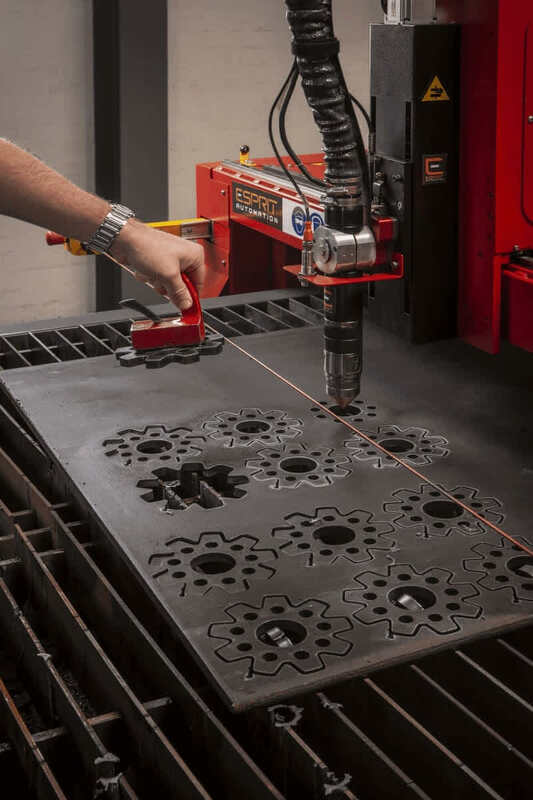 It offers high precision plasma cutting, even comparable with laser cut parts in many cases. 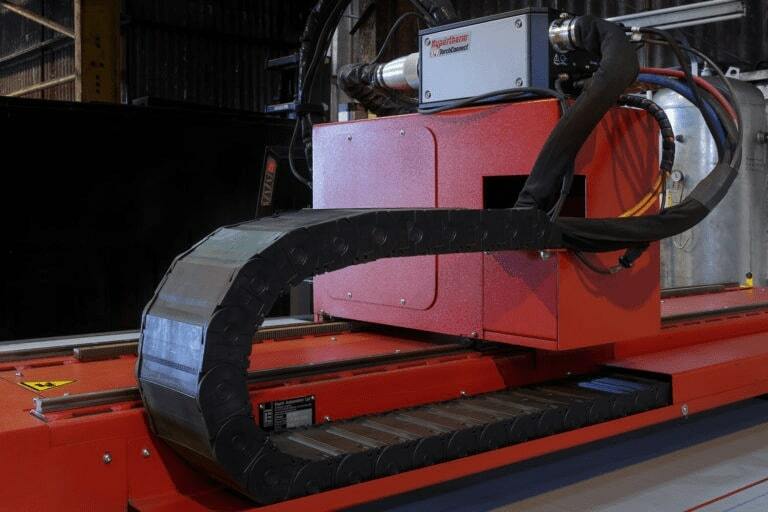 Flexible in size, this HD plasma cutter ranges from 3m x 1.5 upwards. Specified with heavy duty precision fabricated and machined structures, combined with hardened linear bearings, powerful digital drives and precision transmissions; the Lightning HD offers market leading precision and cut quality. If you are looking for the best plasma cutter on the market, look no further than the Lightning HD. Advanced cutting technologies and intelligent systems produce astounding results. Precision motion control allows you to produce clean, precise and repeatable cuts. Improved angularity, reduced waste, increased consumable life, and rapid fault identification are just of some of the features of our top range high definition plasma cutter that will boost your productivity and none of them require a single intervention from your operators. High Speed Engraver marking or fine inbuilt plasma marking are both available with the Lightning HD. This allows you to produce part numbers, bend lines or marking out for assembly quickly and easily. 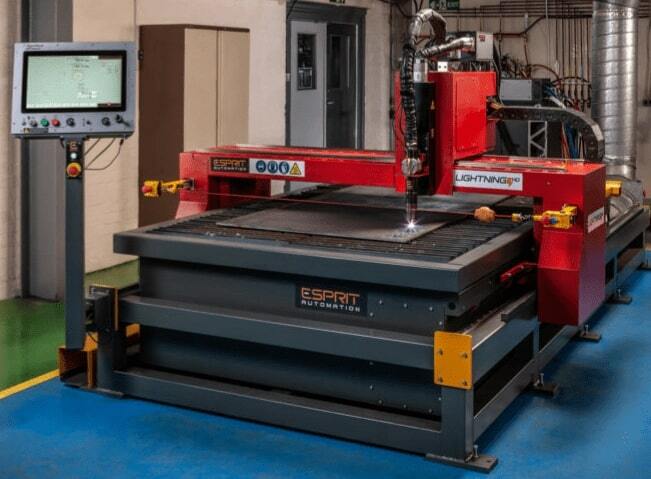 For more information on our very best plasma cutting machine, give us a call or fill out the contact form. You are also very welcome to visit our facilities in Nottingham for a live demo. Every detail of the Lightning HD has been carefully thought out and designed to the highest standard. 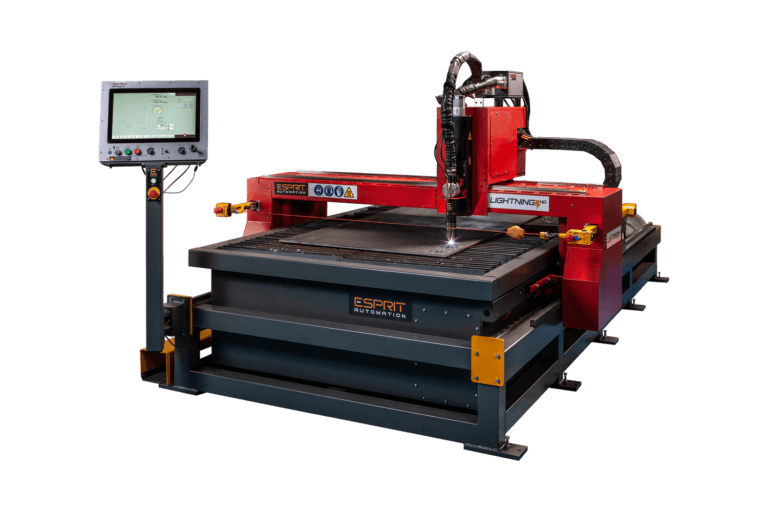 The highly robust & compact design makes the machine capable of exploiting the full potential of high definition plasma cutting. The cutting table is also structurally independent from the machine, which is ideal for loading heavy plates since accidental shocks will not affect the performance. 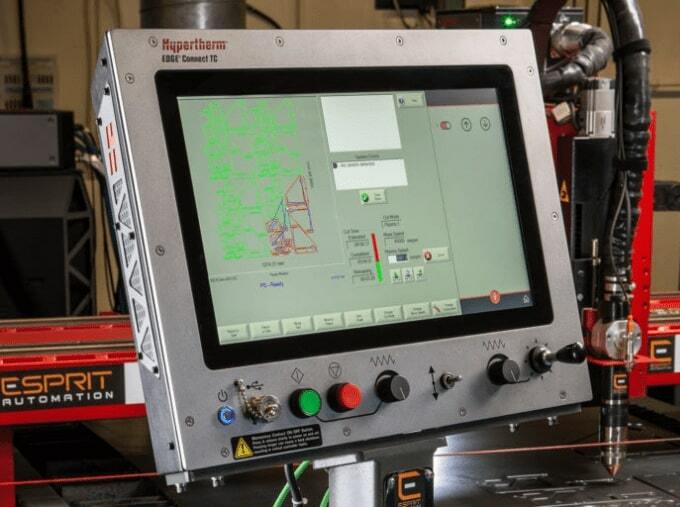 Hypertherm’s EDGE Connect Plasma Controller offers advanced features and an easy-to-use touch screen interface, so intensive staff training is not required. A unique safety system, with an assigned perimeter and an emergency stop, stops the machine instantly in the event of a collision to protect the safety of your operators. For operator safety and long machine life, the important cables and hoses are placed inside a rugged enclosure, a heavy-duty sheath designed for harsh environments. Laser spot identification to locate plate edges simplifies machine setup, one of the many time-saving features incorporated into the Lightning HD. The Lightning HD could be equipped with Hypertherms HPR cutting systems or the new XPR plasma cutting technology. HPR is known to cut fine feature parts with superior quality and consistency. The new XPR technology even further improves productivity, reduces operating costs even more and has an unparalleled performance on all thicknesses. Procut is an advanced nesting solution that has been designed internally by Esprit to incorporate all our know-how and experience in CNC cutting. For more than 25 years, Procut has been continuously upgraded and used worldwide by sheet metal machining companies. Procut is straightforward user-friendly, and allows users to cut the best possible holes. Maximizing uptime and increasing productivity are essential for our customers. Therefore, Esprit worked to develop an in-house solution called IRIS. This system allows you to monitor your Esprit cutting machine in real time, track the amount of pierces per consumable and check your cutting efficiency 24 hours a day. CONTACT US For all your HIGH DEFINITION Plasma CUTTING needs.